The technical documentation organization, a company within a company. Documentation creation and maintenance can be seen as a mini production company within your company and has all elements of a regular production company. Next to the product flow from input material to sales ready product there is an information stream that makes sure the end result is according to specifications. A balanced choice between tools and processes with the required means and guidelines. How to maintain the craftsmanship during illness, replacements, transfers of staff. 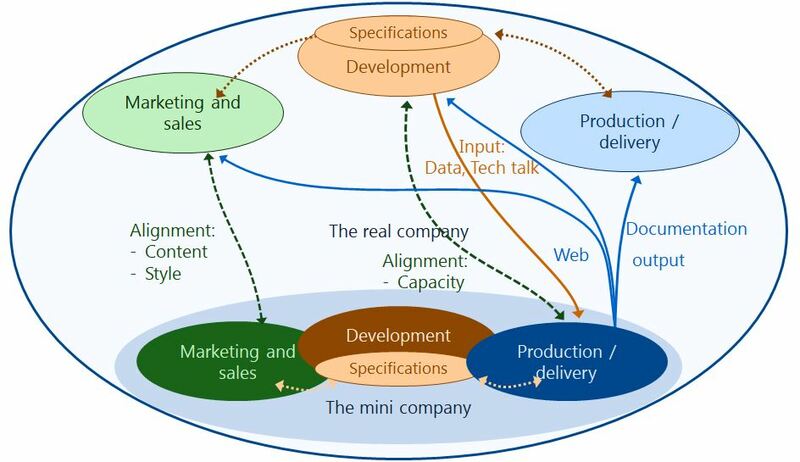 Specification management may require special attention as it connects product development, product and process quality management and marketing. For each element of this documentation production “company” multiple solutions are possible. The marketing and development area’s are the most important sources for the goal of effective and efficient documentation.